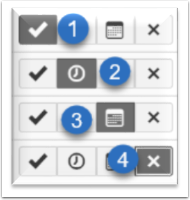 Canvas @ YaleInstructor Guides SettingsHow do I modify the Default Notification Settings? 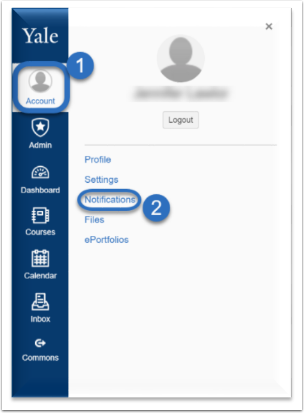 With Canvas @ Yale, you have default notification settings created for you that can be modified to your personal preference. 1. Click on Account on the Global Navigation. 1. Check Mark: To receive notification right away. Delayed one-hour to capture all changes, which prevents multiple notifications at the same time. 2. Clock: Daily notification via email. 3. Calendar: Weekly notification via email. 4. Remove: Does not send notification for that item.